Thank you for taking part in last week’s Chanel guessing game. Six people got the line-up right – I’d say the answer got out before the deadline, since the last participants named Beige, 1932 and Jersey correctly. The game was an interesting informal survey of your favorite contemporary Exclusives. Coromandel heads the list with 44 votes – but according to Jacques Polge and Christopher Sheldrake, there’s really no way it could be improved on by being made richer and stronger, so fans will have to make do with the eau de toilette. 31 rue Cambon comes a close second, on 42 wish lists. 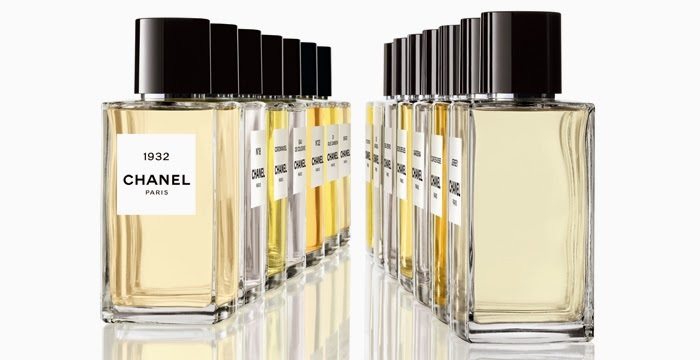 It’s long been rumored that this would be the first Exclusives extrait, but when I reported said rumor to the Chanel perfumers, they acted surprised. 1932 came in third with 26 votes, followed by Beige with 23 – not surprisingly, since as soft florals they were naturals for an extrait formulation. Sycomore, though it veers more towards the masculine, came neck to neck with 28 La Pausa – whose quiet sillage could certainly use a boost --, with respectively 16 and 15 voices. Jersey, with 11 voices, was something of an outsider, but Christopher Sheldrake said it was the one he most wanted to work on, precisely because it is so unexpected. N°18 and Bel Respiro lagged far behind, with 4 ticks each. For obvious reasons, the Cologne got none. I suppose Chanel's choices reflect the market's most popular picks - if that is so... I pull an outraged face!! In any case I do *agree* that the chosen trio is the one that needs more reworking (and some serious improvement) but I doubt this is the reason behind Chanel's strategy! Zazie, yes, I think those are the best sellers on the global market. I'm not as outraged as you though. I really enjoy 1932, and a friend of mine who has been a perfume lover since the 1950s (and is a member of POL) swears by Beige -- I trust her taste. 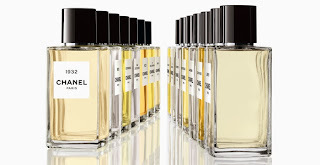 Jersey is not my favorite because of the lavender but I must say I'm warming to the extrait version -- and another connoisseur, a French perfume editor, is passionate about it. So even though I'd have preferred 31 rue Cambon, my curtains are safe. Jicky will be glad your curtains are all hers! Beige I really like, though I always thought it could and should smell richer, so I am curious on what direction it takes in extrait concentration....but I really just smell a tight budget in 1932 and Jersey. Cheap cheap, they sing to me. Dull dull...I bet those double C jasmine fields at Grasse have not lost a single flower for 1932! Jicky is too grown-up now (ahem) to climb curtains... especially since I had to take them down after she shredded them chasing flies! Funny, I don't have the same impression of cheapness from 1932, in fact I'm pretty sure I detect excellent orris in there. But if it doesn't do anything for you, there's lots more to love, right?